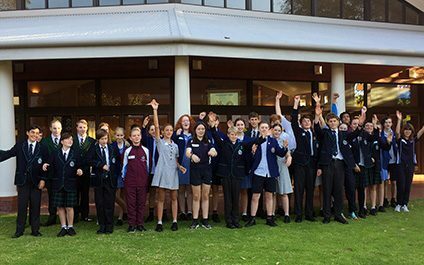 On Wednesday 17 October, a group of eight students from Years 8 to 11 travelled up to Bunbury Cathedral Grammar School to compete in the annual Philosothon - a community of inquiry concerned with the big questions at the edge of science and reason. 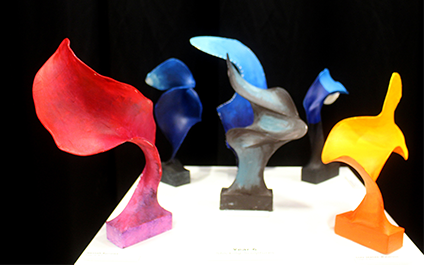 A Philosothon is a competition designed to promote critical and creative thinking and collaboration skills. 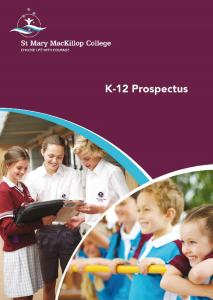 The College’s commitment to nurturing a lifetime love of learning is not just for our students, as our staff are encouraged to develop new skills and seek new challenges. 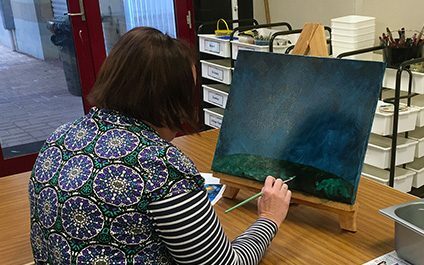 Following on from woodworking sessions last term, a group of aspiring artists from among our staff has been coming together on a Thursday after school this term to express their creative side through oil painting. 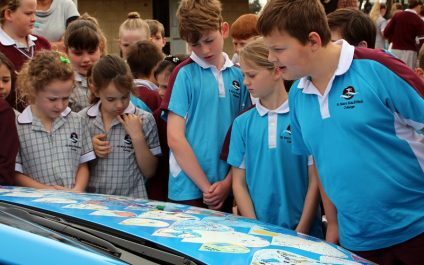 Chris Elliot from Busselton Water visited the College last Wednesday to present prize packs to the winners of this year’s Water Week Art competition. 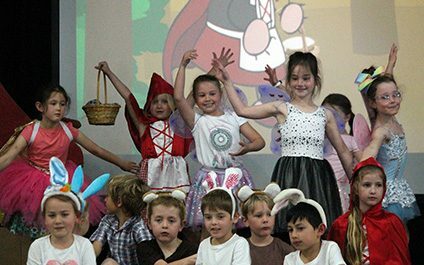 Year 6 students Millie Jasper and Sabella Banks were two of the four winners from more than 250 entries of all ages. 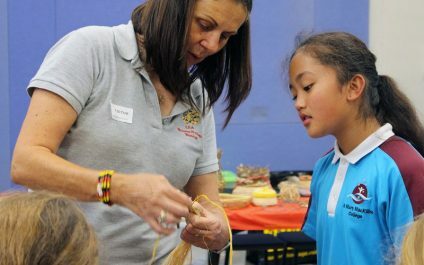 On the first day back in Term 4, the Curiosity Academy’s PALS group continued to learn about the history and traditions of Aboriginal women. Lea Taylor, an Indigenous artist of the Wandardi people (and second cousin to our Secondary campus librarian, Christine Taylor), came in to share her knowledge and skills in creating traditional woven baskets with the students. 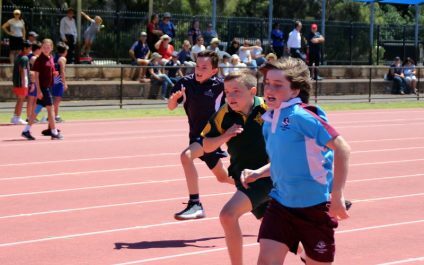 After a false start due to wet weather, the College’s Primary Athletics squad travelled to Bunbury last Thursday to compete in the SWPSA interschool athletics carnival against nine other primary schools from the region. 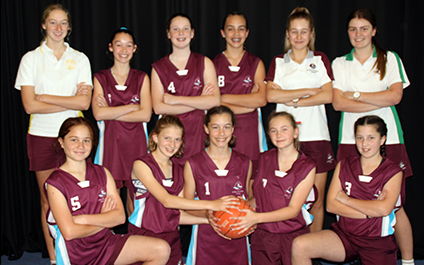 The students performed exceptionally well throughout the day with outstanding running, throwing, jumping and team games. 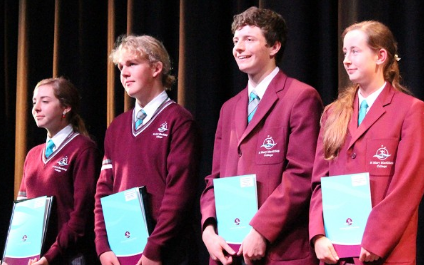 Students, staff and parents contacting our IT Help desk at the College would no doubt have come across Courtney Minto’s smiling face or cheerful, friendly voice this year. 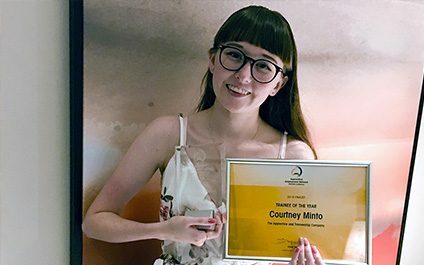 The College has been Courtney’s host employee as she completes a Traineeship in Information, Digital Media Technology with the Apprenticeship and Traineeship Company, and the amazing job she does at the school saw her recently awarded the 2018 WA Trainee of the Year from Apprentice Employment Network (AEN) WA. The AENWA Awards of Excellence were held last Friday in Perth, recognizing the achievements of apprentices and trainees, employed by Group Training organisations in WA, and the host employees who support them.